Our cat Mambo has gone missing. Mambo is a large black Tom (about 16 inches from his nose to his bum) with no other colouring. He’s exceptionally friendly with people. 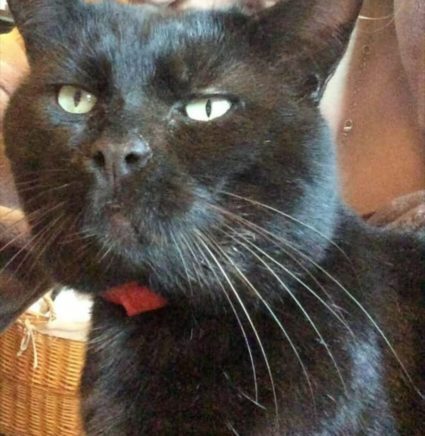 Last seen Monday 14/01/19 morning wearing a red collar, and he isn’t neutered. Usually roams around the grove bar area in Delgany. If people could please check their sheds and gardens in case he is locked in or trapped. Any information or sightings would be massively appreciated. If hes found please contact me on 087 150 9010.